﻿One mile high with a fifty mile view! 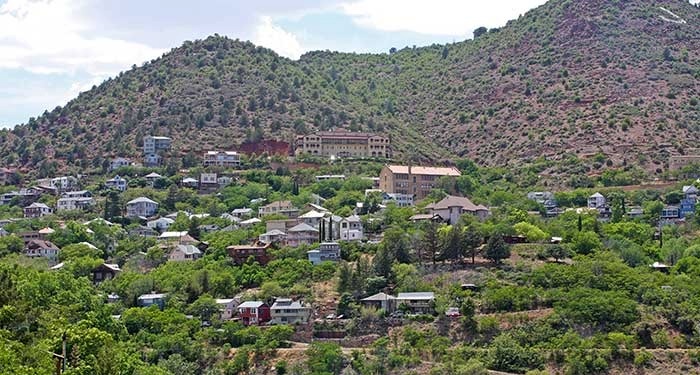 Jerome has resurrected itself from a near ghost town to a thriving little town full of art galleries, restaurants , and historic buildings nestled high up in the Mingus Mountains. From the hearty miners of yester-year to those searching a simpler modern day life Jerome has attracted the eclectic bold spirit that epitomizes modern day funky. Whether you are considering a lifestyle change, or are just here for a few days, Jerome is a must visit on everybody's list! Sedona Verde Valley listings last updated Apr 24, 2019 6:08:am.